It was a big deal when the Acura NSX returned to market in late 2015 as a 2016 model following a nearly decade-long absence. The first generation NSX was sold for an impressive 17 years and went through a number of updates including a 2002 model year facelift. The , including some new exterior colors, such as Thermal Orange, and improved handling characteristics. But surely there’ll be more performance enhancements with the current 3.5-liter twin-turbo, dual-electric motor powertrain, right? ? 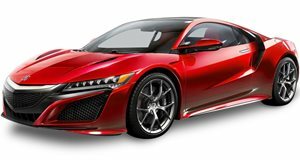 Although Sloustcher could not get into specifics, he reiterated that the Type S nameplate is back for Acura in general and the brand is "always looking at options.” Above all, Acura remains committed to the NSX for the foreseeable future.